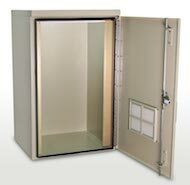 Weatherproof (NEMA 4) OUTDOOR WIRELESS ENCLOSURE, can be wall, floor, or pole mounted. 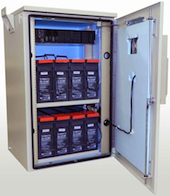 Shelf integrated battery rack for 48v systems. 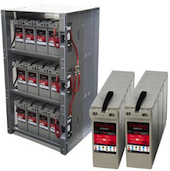 Battery Boxes high-quality heavy-duty enclosures to house electrical components and/or batteries. 37” OUTDOOR WIRELESS ENCLOSURE, Outdoor Cabinet 37"H X 24"W X 20"D.
Air Conditioners for Cooling Enclosure 4000 BTU 115 Volt A/C 400watts of internal Heat. Enclosures Air Conditioners 6000 BTU 115 Volt A/C, 400 Watts of Internet Heat.